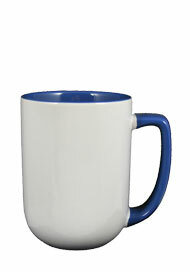 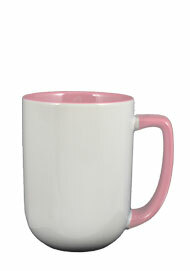 Large Mugs with Color Interior and Handle at Wholesale Prices for Restaurant | Diner | and Home. The Bakersfield mug has a white body with solid colored interior and handle. 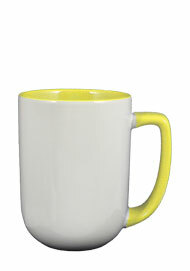 It's available in nine exciting colors. 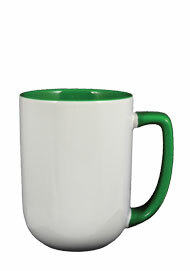 The coffee cup holds 17 oz of your favorite hot drink of choice. 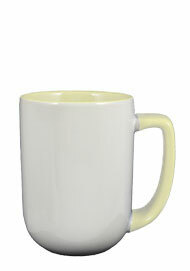 This stylish drinkware is at an exceptional value and of high quality. Whoever you are entertaining will be delighted to quench their thirst their choice of coffee, tea, or hot chocolate in these spectacular mugs.